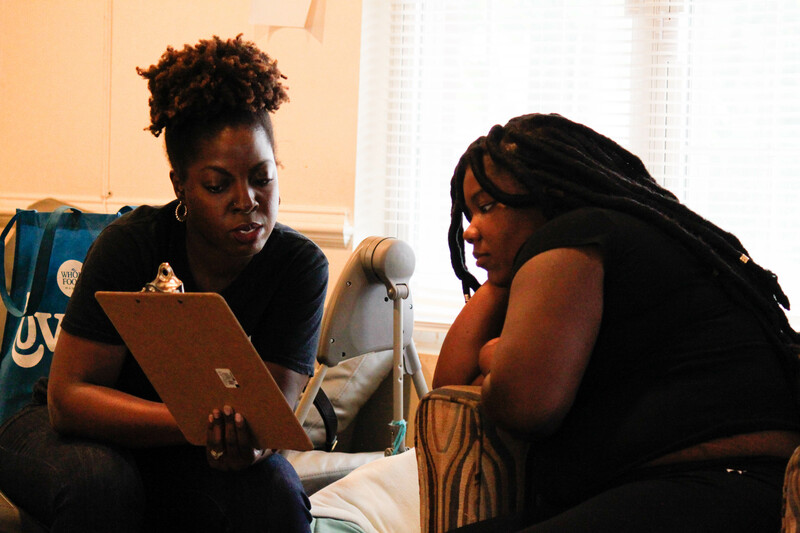 This fall, Silence is Violence centered the voices of young Black mothers and their journey through childhood, childbirth and coming of age. YPT partnered with Sasha Bruce Youthwork's program Olaiya's Cradle to present the true stories of Olaiya's Cradle residents through two live performances of a choreopoem devised and directed by Farah Lawal Harris and featuring a dynamic cast: Zipporah Brown, Tameika Chavis, Ayesis Clay, Kenya D. Morris and Chinna Palmer. 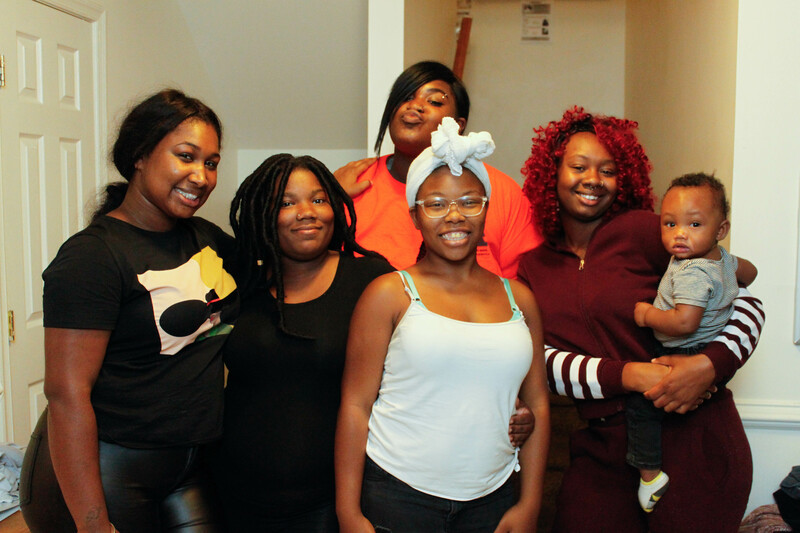 Presented in partnership with the Sasha Bruce program, Olaiya's Cradle, a supportive, independent living program for homeless young mothers ages 18-21 and their children, for up to 18 months. See photos from Tuesday, October 23 performance. | See photos from Wednesday, October 24 performance. 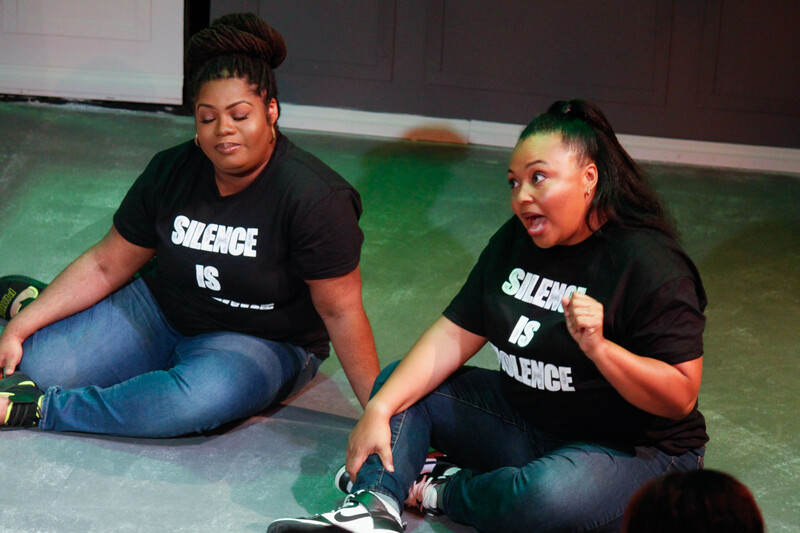 Since its inception in 2015, Silence Is Violence has been YPT’s most immediate and direct route of addressing social justice issues affecting Washington, DC area youth through performance and community dialogue. The first two years of Silence is Violence (Silence Is Violence: A #BlackLivesMatter Event and Silence Is Violence: Who's Next?) addressed the #BlackLivesMatter movement as a response to the multitude of deaths of black people by the hands of police; in light of the most recent presidential inauguration, the spring 2017 Silence Is Violence: What Now? focused on themes of immigration and cultural pride. This past September, Silence Is Violence: LGBTQ+ You transformed the series into a mixed arts experience and celebrated the spirit and perseverance of DC area LGBTQ+ youth and adults through their words, music, visual art, performance and fellowship. Silence is Violence has continued to serve as a means for young people to actively communicate their concerns through targeted dramatic writing workshops and community partnerships. With these young people’s permission, YPT shapes their words into a performance piece with professional performers, furthering YPT’s vision that young people’s voices are not only significant but also powerful.